Happy Thanksgiveaway Week #3. I love bringing these amazing cookbooks to you! I hope you are enjoying this, too. This week, I am giving away my new favorite paleo cookbook, Paleo Happy Hour by Kelly Milton. 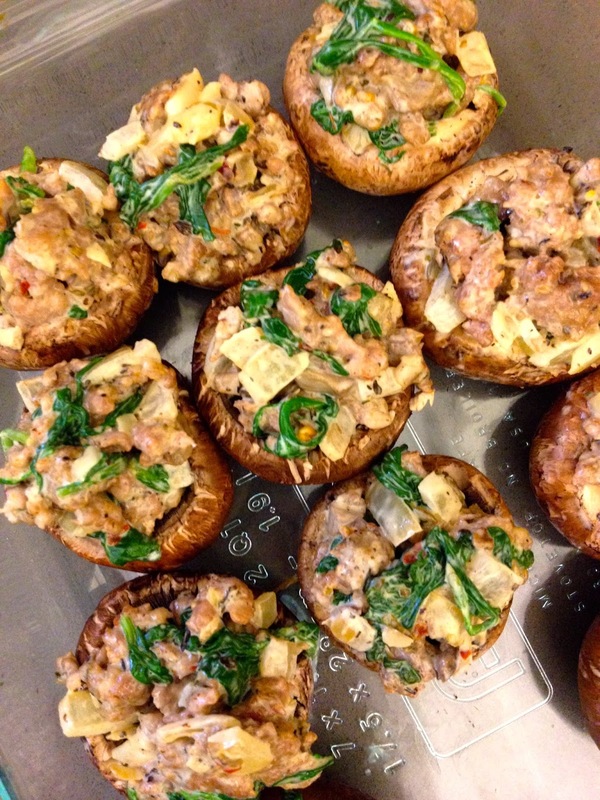 Kelly blogs over at Paleo Girl's Kitchen. I love her recipes! This book is my absolute favorite for a few reasons. 1. All the recipes are stress-free and simple to make. 2. I love happy hour. But now I don't have to feel guilty about it. 3. Every recipe I tried turned out perfectly, which means they are very well tested and can be trusted! That is very important in recipe development. First, I made mayonnaise. I usually use my own recipe, but since I was out of lemons, I tried the one in this book. I'm going to throw myself under the bus here and say that hers was better. In my defense, our recipes are similar, though. But seriously, as a girl who stresses over mayonnaise often, I was very pleased with this recipe. It uses apple cider vinegar instead of lemon juice, so the ingredients are always easy to grab from the pantry. I made the mayonnaise because it was an ingredient in my new favorite thing ever, the Sausage Stuffed Mushrooms from the book. I mean, look at them. They were amazing. I brought them to a party and they were destroyed almost immediately. I made a second batch the next day. Then I chopped the leftovers up and threw them in an omelet for breakfast. I mean, I'm addicted to these things. I want some right now, darn it. 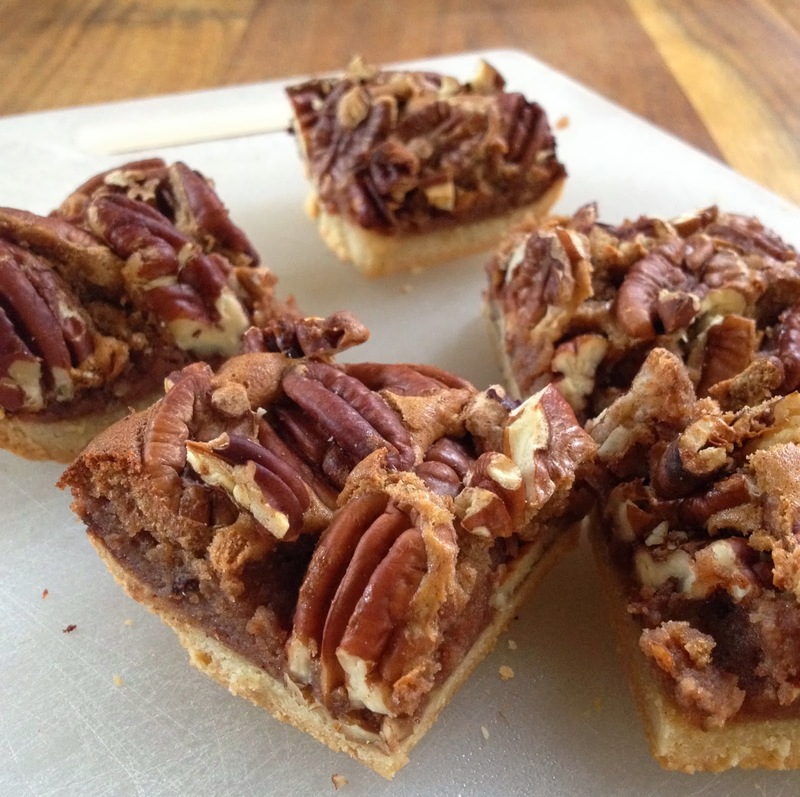 Finally, I made the pecan bars. I made these to take with me to Thanksgiving dinner. They didn't even make it that far. My family ate them all up the night before Thanksgiving. Oops. Well, they were amazing. The filling was made with dates, instead of corn syrup. The crust was incredible! It's almond-flour based, and resulted in the perfect texture. I will use that crust as a base for any cookie/bar/square type thing in the future. I may have overdid it on the pecans, but what can ya do? I love pecans. So you wanna win this book? Leave me a comment below with YOUR DRINK and EMAIL ADDRESS. You know, the one drink that you always order. And leave your stinking email address. If you don't, you won't win. This is how your comment should look: Rye Whiskey, Neat. brittanie36(at)gmail(dot)com. I will announce the winner on Thursday, December 19 just around happy hour... Good luck!